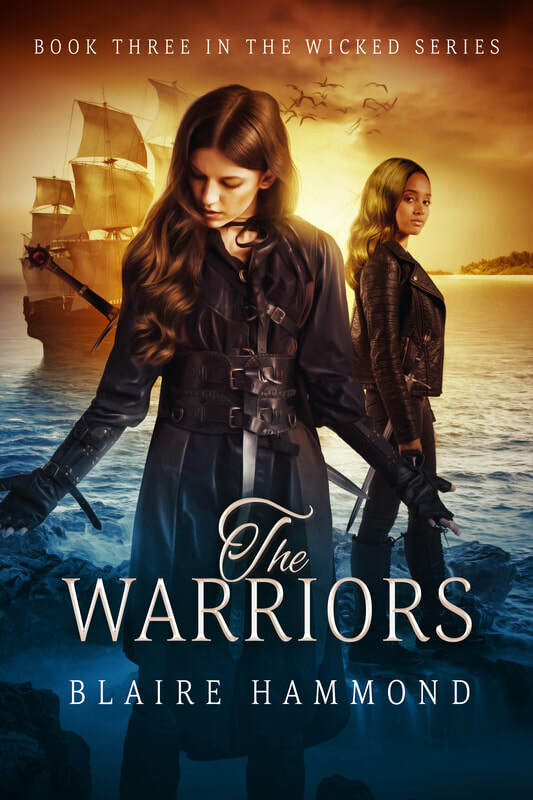 Read a small excerpt from The Warriors here! For years the planet Elixir has been somewhat at peace. But now, evil has returned, and he is after only one thing; power. The Enchanted finally see the truth, but their realisation came too late. All has changed within the Spirit World. A darkness is sweeping across the seas, and even the Humans sense that they’re in danger. But Laura and her friends can’t give up yet; not with their world in such peril. War has arrived, and not everyone will survive. Laura has lost a lot in the past weeks, however despite that, she still has hope. Hope that she can learn to control her abilities and use them to her advantage. Hope that the Enchanted will win the war and the Humans will once again be safe. Hope that she and her new family will survive. But with so much on the line, can she really risk losing everything all over again? War has come, and it is more brutal than Laura could have ever imagined. Innocent Enchanted are being captured, tortured, and killed. Whole cities have been conquered, towns burned to the ground, homes destroyed. Even Alast, the Enchanted’s last refuge, is under threat. Once again Laura and her friends must split up and set out on death defying journeys to save their world. Will they succeed? Or will the Wicked take over before they even make it? Her soul is fragile, however Laura’s story is not finished yet.